"The Queen’s Indian Defense is a very powerful weapon for those who think that a draw against 1.d4 is not enough. Many world champions employed this opening with great success. Bobby Fischer, Garry Kasparov, and recently Magnus Carlsen achieved many brilliant victories with a help of the Queen’s Indian." The Queen’s Indian Defense is a very powerful weapon for those who think that a draw against 1.d4 is not enough. Many world champions employed this opening with great success. Bobby Fischer, Garry Kasparov, and recently Magnus Carlsen achieved many brilliant victories with a help of the Queen’s Indian. Many club level players STRUGGLE to find the right plan for black in the queen’s pawn game. That results in badly placed pieces, passive positions, and ultimately lost games. Club players often get disoriented and confused in these positions, which leads to devastating results. If you are having trouble equalizing and obtaining an upper hand in queen’s pawn game with black pieces, the Queen’s Indian Defense maybe a perfect choice for you! The Queen’s Indian Defense is one of the most dependable and at the same time versatile openings that can be played against 1.d4. Black adopts the hypermodern approach, temporarily giving up the center and making full use of the long diagonal by controlling the key squares with pieces. This opening leads to many complex positions with a clear and straight forward plan for black. 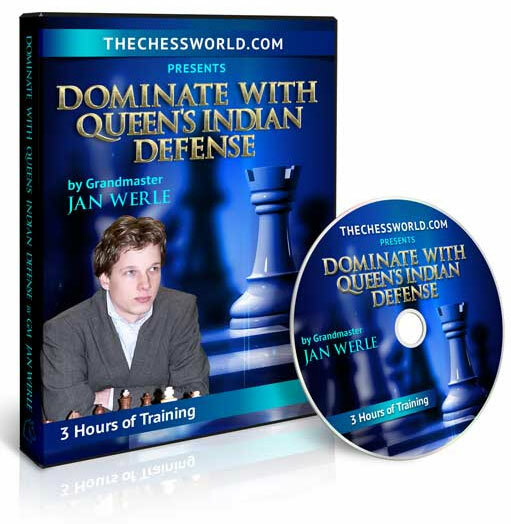 In this three and a half hour long video course, Queen’s Indian expert GM Jan Werle reveals his secrets and offers opening repertoire for Black based on the Queen’s Indian Defense. GM Werle answers many very important questions that puzzle most club players. He provides a clear-cut plan and gives suggestions about which lines should be played and which should be avoided at all costs. This video course is designed with improving chess players in mind. After working through the material, you will understand the key plans, ideas, formations and maneuvers necessary to successfully face the 1.d4 with Queen’s Indian. These carefully prepared lines and variations will save you huge amount of preparation time and you will become a step closer to becoming a champion! 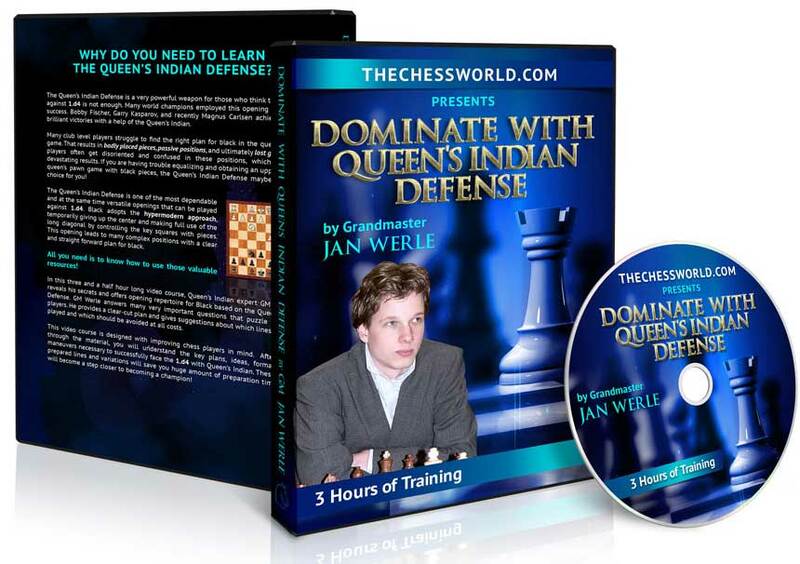 Instant download of the 3 and a half hour long Queen’s Indian Defense video course with GM Jan Werle. In this video course GM Werle reveals his secrets and offers opening repertoire for Black based on the QID. After finishing the endgame video course, you will apply the concepts you have learned in the actual games. In order to reinforce the concepts you just learned we have specifically selected the examples from GM games that you can practice against our engine. Download PGNs of all examples covered in the video with extra lines, ideas and analysis by GM Jan Werle. 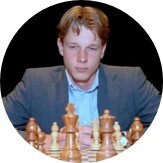 is a Dutch Grandmaster. He has developed his game quickly by combining structured training with frequent tournament practice. GM Werle spend many years perfecting his opening preparation by working with Ivan Sokolov and Sergei Tiviakov. He won many strong tournaments including EU Individual Open Championship in front of many players including Michael Adams, Nigel Short, Etienne Bacrot and Maxime Vachier-Lagrave. START WINNING KING AND PAWN ENDGAMES!